SIM Recharge is a set of services providing advanced features to recharge and manage the credit of your SIM cards in a secure, fast and reliable way. 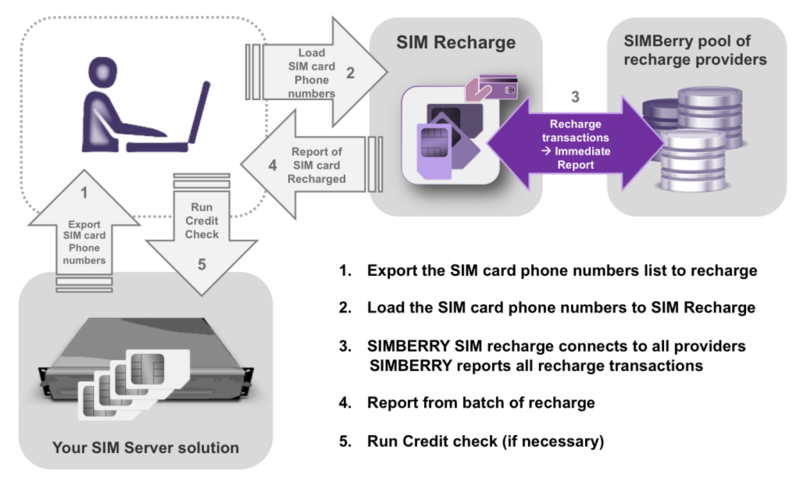 Why is it key to manage the recharge of SIM card in a good way? 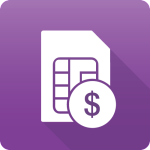 Your Call Termination solution is sensitive to the remaining credit on the SIM card, as without credit on SIM cards, your business will simply stand still, your revenues will stop and, finally, you may lose your customers. 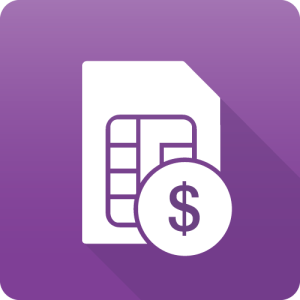 As your management of recharge strongly depends on SIM card credit voucher, voucher type, voucher records or voucher assignation, then errors or “bad” voucher pin codes can lead to dramatic losses in your business. Buying your vouchers from resellers can be critical for the safety of your SIM cards, as Anti-fraud systems highlight resellers selling too many vouchers being found in “fraudulent” usage. The consequence is getting all your SIM cards blocked once such reseller has been flagged by the mobile operators NOC. Managing your vouchers physically with your Call Termination solution is also a leak of security as users may have access to pin codes and steal or misuse them. Poor mobile network connection can make topping up SIM cards via SMS, IVR, USSD, credit transfer (or any combination of those) unreliable. Sometimes the network is simply unavailable for hours due to a mobile operator simply changing its network rules or configurations. Check out our price attractive service options and discover how easy topping up SIMs can be. The online SIM Recharge is available for any call termination hardware solution on the market. 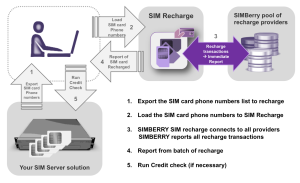 SIM Recharge Service is a dedicated online web portal enabling you to manage the SIM card recharge for your business. Thanks to a wide range of direct connections to multiple resellers and mobile providers, SIM Recharge will bring you reliable and secured transactions for any of your SIM card. Moreover, the SIM card recharge remains easier as there is no need for the SIM card to be registered on the mobile network during recharge process. Your SIM card remains safer as its recharge is hidden within the legacy flow of millions of end-user recharges during the day. There is no technical requirement as SIM recharge fits with any GSM gateway and SIM Server solution. To ensure the highest customer experience, SIMBERRY will request from you information about destinations and average recharge volumes to insure sufficient availability of recharge for your desired destinations.